My teenage self was rather proud of being a “cultured despiser of religion.” I had dismissed religion as being for the weak of mind, a crutch, something that intelligence and reason made unnecessary and undesirable. But here was some of the most fiercely intelligent poetry I had ever read, grappling with Christian doctrines and with a relationship with God. If this brilliant mind believed all this, and devoted a life to it, then clearly I needed to look at it again. But who was George Herbert? 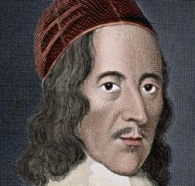 George Herbert was born in 1593 and died in 1633. His life was in many ways typical of the educated gentry of the Stuart period: Westminster School, Cambridge University, with a promising career at court beckoning. But then he took an unusual turn and became a country vicar, an abrupt change of direction that was a cause for speculation and gossip in Cambridge for decades afterwards. It was only after his tragically early death that his poetry was published and became known beyond his inner circle. It was much harder to dismiss my own emotional reaction to these poems: the beauty, the yearning, the enticing danger. They left me with the sense that I was standing on a cliff, staring out to sea, hearing marvelous tales of lands beyond the horizon and wondering if they were, after all, just fairy tales or whether the intensity with which the tales were told was evidence that the teller had indeed seen a barely imagined kingdom. “George Herbert: the man who converted me from atheism” by Miranda Threlfall-Holmes was published in The Guardian. I got introduced to George Herbert via a bulletin insert, which had his “A Dialogue-Anthem”. I fell in love immediately. But I was lame and didn’t read any more from Herbert! Thanks for this blog post; I will now read more of his stuff. If he hit one out of the park, surely he has done that with others, too!